THE Nationwide Conference Dedicated to Teaching You How to Get More Signings and Grow Your Business! THE 2019 CONFERENCE IS SOLD OUT! America's #1 rated signing agent course for notary signing agents, Loan Signing System, will be hosting the nationwide GROW YOUR BUSINESS Conference on Saturday, June 1st and Sunday, June 2nd! Unlike other notary conferences, this event will be 100% dedicated to notary signing agents and helping you get more loan signings, market yourself better, and build your business. No sessions on general notary work, no wasted time, no fluff. You will learn from an amazing list of escrow officers, signing services, and other mortgage professionals speaking so you can learn exactly how to get signings from the very people that hire you! It will be the most relevant conference for signing agents available. This year's conference sold out so be sure to join the waitlist! If a ticket becomes available, you'll be the first to know! 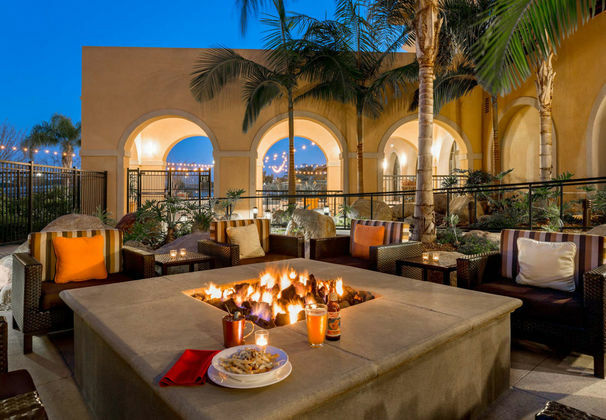 The Loan Signing System GROW YOUR BUSINESS Conference will be held at the beautiful Courtyard Marriott San Diego at Liberty Station. Nestled along the water, the property will give you an immense variety of food, hotel, and entertainment options so you can enjoy your weekend as you learn how to market and grow your signing agent business! Over a dozen restaurants and shops are with walking distance, including the popular Liberty Public Market and Stone Brewery.